I took a break from hand quilting to clean up my scrap pile. 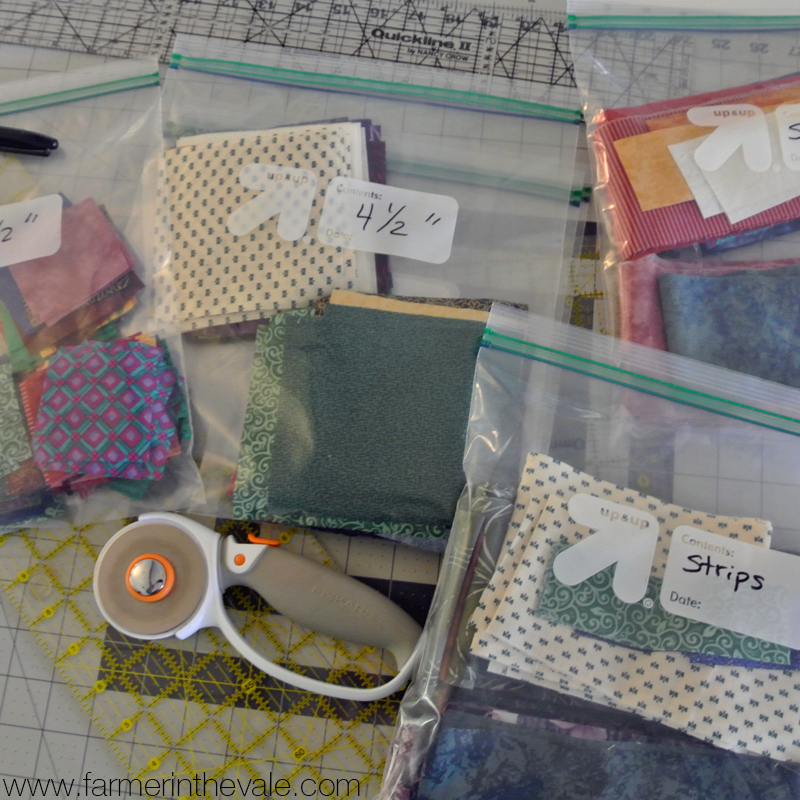 A few weeks ago I sorted through my stash and pulled out any scraps that were smaller than 6″x6″. Anything smaller than 2.5″ was thrown away unless it was a longish strip at least 1.5″ wide. I decided to stick with squares and strips. Originally I thought I might cut triangles too but I got tired of cutting after a while. As you can see from the photo, I now have a big stack of strips and enough squares for at least one quilt. This entry was posted in Quilts and tagged quilting, scraps, sewing. Bookmark the permalink.